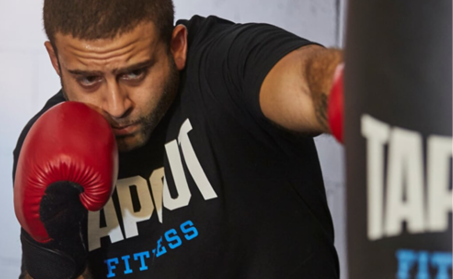 All classes at Tapout Fitness Raleigh, NC are led by our highly trained, carefully selected Master Trainers. And their focus is always on you. You will receive personalized attention while feeling part of the group … no matter what size class or what time of day. This 60 minute high energy class will combine elements of boxing along with other exercises and drills commonly found in a bootcamp style workout. This class is great for cardio, agility, and strength. The first half of class will be a bootcamp style circuit that will work every part of your body. The second half of the class will be primarily boxing, consisting of heavy bag work. If you love boxing and enjoy bootcamp workouts this is a class you will not want to miss out on! This class is highly recommended for obstacle course race athletes and weekend warriors alike! Muay Thai – The art of 8 limbs. Learn striking techniques, drills, and overall fitness conditioning. Working with pads, bags, and partner work in this class. This Jiu Jitsu classis NO GI, and covers techniques used in many disciplines, styles and martial arts that are practiced both as combat sports and for self-defense. Jiu Jitsu most commonly does not include striking or the use of weapons. Based on the Jackson Mixed Martial Arts program. Class consists of physical and mental exercises. 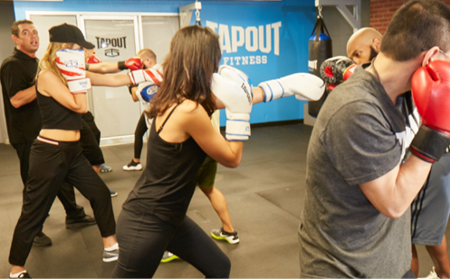 No experience is needed, as all of the combinations are based on basic boxing and kickboxing fundamentals and our resistance training comes from your own body weight. Morning or night, all you need is 30 minutes with Focusmaster and your transformation begins. This 30 minute class is a total body workout utilizing the Focusmaster machine. After a brief, but intense, warmup you will glove up and begin 2-3 minute rounds of striking against the Focusmaster machine. The class will conclude with an ab session and cool down. Strategy and tactics in all 5 ranges of the fight. Stand up, clinch, ground — all techniques will be taught and learned. It is not required that you’re a fighter or in tournaments to attend this class. You will learn how to train like one and get into shape like a fighter; physically and mentally. Strike Kickboxing is a fitness based class using the newest striking techniques to get you in shape and looking your best. 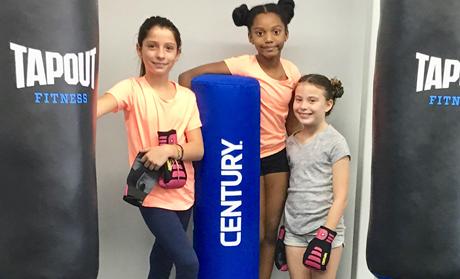 Based on the curriculum created by Coach Brandon Gibson of Jackson Wink MMA Academy, you will incorporate core body mechanics while learning the latest boxing, kickboxing, and Muay Thai combinations. You will learn striking and kickboxing while getting an amazing workout! Strike Kickboxing will start with a pre workout to get your blood pumping, move into conditioning and stretching, followed by fitness striking and a post workout. This class is for adults, kids 14 and up. For other kids, please talk to a Tapout Fitness Team Member for approval.